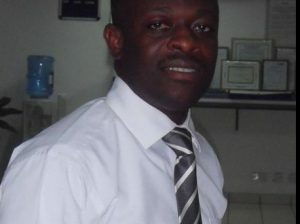 Seth Akyea was the Operations Manager at the Cantoments branch of Ecobank. The Operations Manager at the Cantoments branch of Ecobank, Seth Akyea, has been shot dead by three unidentified assailants at his Kasoa residence. The 40-year-old was shot dead Friday around 9:30pm as he arrived from work. Operations Manager of the Labone branch of Ecobank, Seth K. Akyea, was last Friday shot in the neck and killed by yet-to-be- identified gunmen, but his fiancée and one-and-half-year-old child escaped unhurt. He was killed at about 9:15pm on the compound of his house at Kasoa New Market, near the Kasoa Timber Market. The body of the deceased has been deposited at the Police Hospital Mortuary. Crime Officer of the Kasoa Di¬visional Police Command, Deputy Superintendent of Police (DSP) Samuel Naa Musah told The Finder that Mr Akyea, his fiancée and their one-and-half-year-old child arrived at the gate of their house at around 9:15pm. 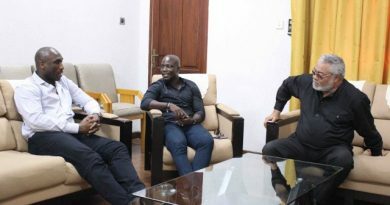 He explained that Mr Akyea got down from the car to open the gate to the house, only for the three yet-to-be-identified young men to accost him to the com¬pound of the house. 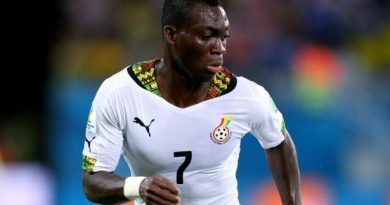 According to him, the robbers demanded the key to Mr Akyea’s Hyundai Elantra vehicle. He explained that Mr Akyea initially refused to hand over the key to the robbers, resulting in a struggle. At this point, DSP Musah said Mr Akyea told his fiancée to enter the house with the baby, which she did. 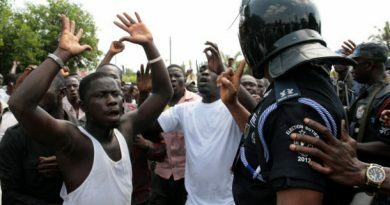 The Crime Officer told said that the robbers succeeded in moving Mr Akyea from the driving seat to the passenger side. According to him, the robbers then shot Mr Akyea in the neck, dropped him on the compound and drove the vehicle away. DSP Musah said the police in¬formation room received report from a caller and quickly called the Kasoa Divisional Police Com¬mand, which rushed to the crime scene. He stated that the robbers bolted before the police got to the crime scene. According to him, that same night, the police found the vehicle involved in an accident and abandoned at Kasoa CP. DSP Musah said the police towed the car to the Kasoa Divisional Police Command, and a murder investigation is in progress.